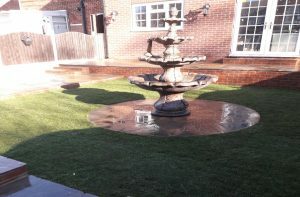 B & B Young Landscaping, has been established over 30 years. 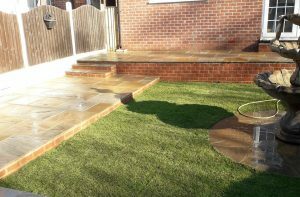 Our Extensive Products & Services include laying patio’s and erecting walls. This garden was transformed. We dug out the original bases, followed the layout requested by our customer and created a peaceful, comfortable relaxing environment for them. 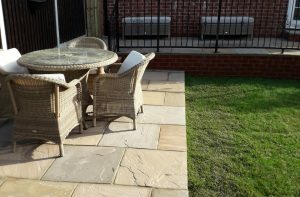 In our portfolio gallery you can see how our project progressed, this included laying a patio, block paving and erecting a new stone wall, as you can see here, the transformation is outstanding, our totally satisfied customer can spend hours in style and comfort, either privately or with friends.